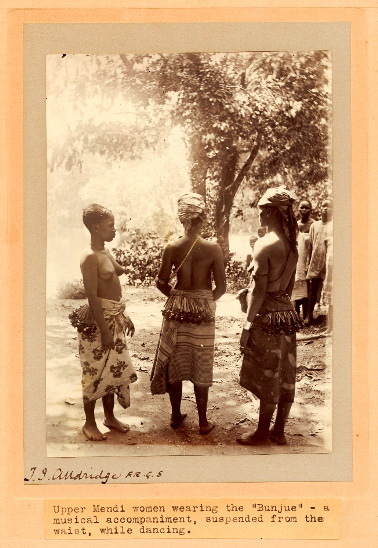 Black and white photographic print showing four young women, initiated into the Sande society, wearing traditional hair styles which bare resemblance to those depicted on many Sowei masks. One girl has her face painted, two other girls have scarification marks over their forehead and stomach. All the girls also bear similar body adornment, or jewellery, across the chest and round the neck. The card is signed: T.J. Alldridge F.R.C.S. . 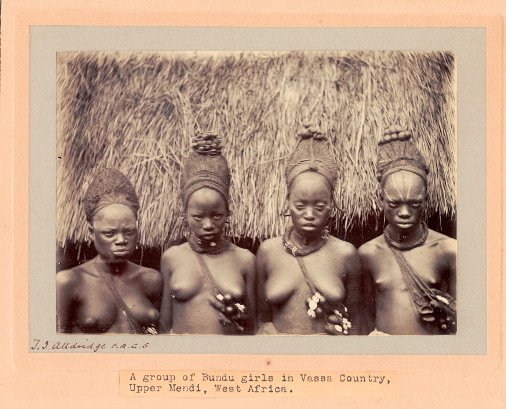 The caption reads A group of Bundu girls in Vassa Country, Upper Mendi, West Africa . 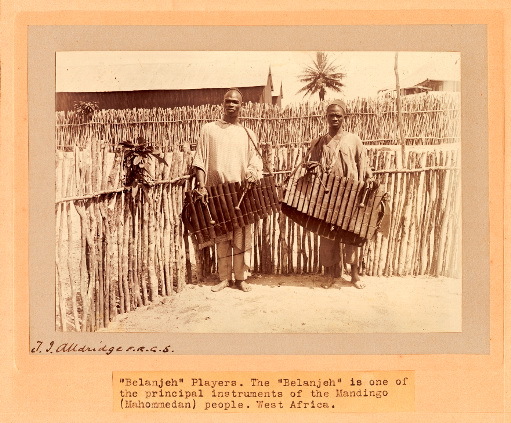 Published as Figure 63 in T. J. Alldridge, 1901, The Sherbro and Its Hinterland (London: Macmillan). 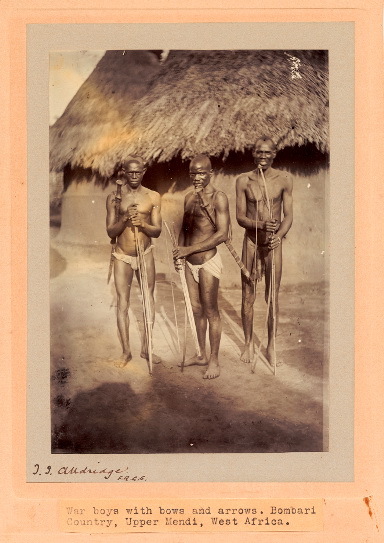 It was possibly taken in February 1891 at Yandahu. 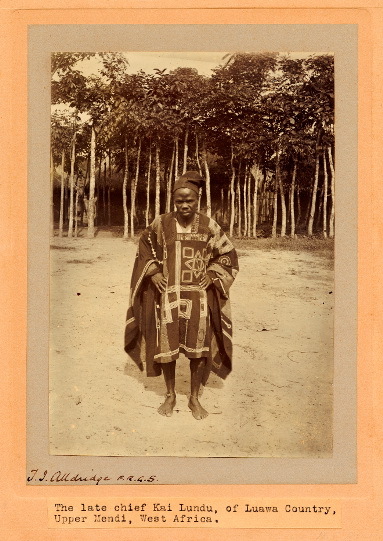 On 21 February 1891 Alldridge made a treaty with Fabanna, chief of Vassa Country.